Recently, ABM advertising has emerged as an important player in the online marketing arena. From an outsider’s perspective, however, account-based advertising and generic retargeting can seem quite similar. Understanding these concepts can help B2B marketers unlock a powerful set of tools to set themselves apart from the crowd. Here, we break down key concepts of both of these strategies. How does generic retargeting distinguish itself from ABM advertising? To properly answer this question, let’s first come up with a comprehensive definition of generic retargeting. Essentially, generic retargeting refers to an advertising process by which marketers add cookies to website visitor’s browsers to track their behavior, allowing them to create advertisements which are directly related to the consumers’ interests. For example, suppose you visited Amazon to find a new pair of shoes. After exploring several different products, you navigate your browser to a different web page, such as CNN.com. There, you will likely see multiple advertisements from Amazon prompting you to take another look at the shoes in question. This is classic “product” retargeting. Account-based advertising may sound a bit similar because they both rely on ad:tech infrastructure to deliver a message. But these two platforms differ in the details of their capabilities and objectives. Historically, generic retargeting has been a tool for e-commerce, such as Amazon, or brand advertisers, such as Tide. E-commerce companies benefit from retargeting because it’s a powerful direct response tool that tips visitors into a conversion for low-consideration or low-cost purchases. Plus, generic retargeting for e-commerce tends to play well with last-click attribution models in a direct response campaign. Brand advertisers have used generic retargeting to influence particular audiences that exhibit specific demographic attributes. This information is stored with a cookie as part of a larger database, accessed by purchasing a data management platform (DMP). Tide, for instance, can target a large audience of “parents”, “forty to fifty”, in “New York” using a DMP. 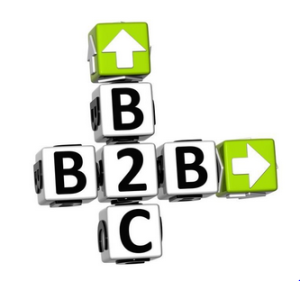 Although these tactics have often resulted in positive outcomes for B2C businesses, their effectiveness for B2B remains less consistent. It’s worth exploring the challenges of implementing generic retargeting within this domain. Unlike e-commerce and brands with low-cost, low-consideration purchase cycles, B2B products or services usually have high price points and lengthy research phases. Thus, direct response campaigns tend to fall flat. Even B2B campaigns that get millions of impressions may have little to no impact on your sales funnel conversion rates or velocity. This is where ABM advertising shines. Let’s take a more in-depth look at the features and strengths of account-based advertising. ABM advertising relies on three key attributes to ensure that messages are delivered to the right audience: personalization, nurturing and segmentation. This concept represents a fundamental cornerstone of ABM advertising: creating something more impactful than a generic banner. With account-based ads, you can subtly and fundamentally influence a buyer’s micro-decisions as they enter and move down the sales funnel. Achieving this objective is critical. 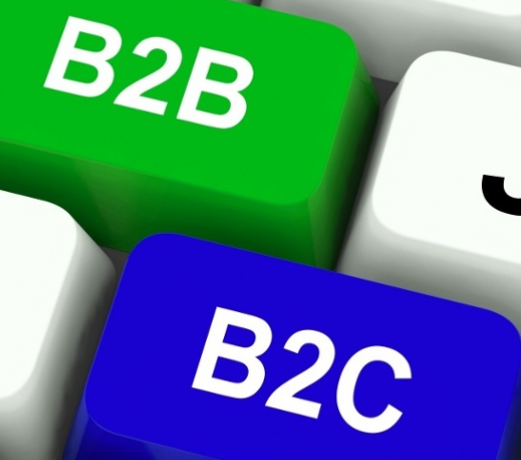 After all, it’s not uncommon for B2B buyers to spend two to nine months within the funnel before making a purchase decision. Competitors and other obstacles can appear during this time which may derail a potential customer out of your sales funnel. Phase 1: A buyer searches the web to learn more about a problem they’re facing. Deliver ads offering a white paper to learn more about the problem. Phase 2: If they don’t download the white paper, remind them or engage them with follow-up questions and snippets from the asset. Phase 3: A month later, offer the potential buyer an eBook that conveys a broader range of issues than those presented in the white paper. The e-book then presents solutions tailored specifically to the product or service you offer. Phase 4: Offer an invitation to a webinar that provides the potential buyer with more context, credibility, and interaction with your team. Phase 5: Invite the potential buyer to a live demonstration. Phase 6: After the demo, stream ads that reinforce the credibility of the product or service with testimonials and case studies. ABM advertising platforms enable this type of dynamic storytelling through display ads. Moreover, B2B buyers are increasingly confronted by competitive vendors, and they pay less attention to any single source of information. For example, e-mail marketing worked incredibly well several years ago, but it has become too saturated. Buyers devoting less time and attention to email marketing — which means you need to evolve and nurture leads through other channels. Account-based advertising represents a new channel for B2B marketers to nurture prospects. That said, how do we measure or quantify the results of these campaigns? First-click and last-click attribution models used in most PPC ad campaigns do not properly reflect the effectiveness of the subtle — almost subliminal — impact of an extended nurture campaign with display ads. Herein lies the value of the post-view conversion report. Using this reporting technique, you can measure the true impact of your ABM ad campaigns. What you will find is that account-based advertising plays a different, powerful role over generic retargeting in B2B sales.